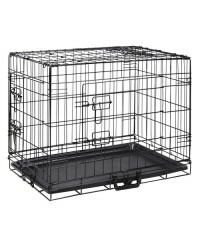 Featuring a foldable design with triple access doors, this dog cage offers maximum convenience..
Now your pet is able to get to its favourite spot with this 3-Step dog staircase. 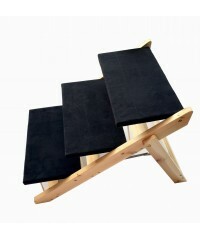 Ideal for sm..
Help your pet cat or dog up to their favourite snooze spot with a set of pet stairs. 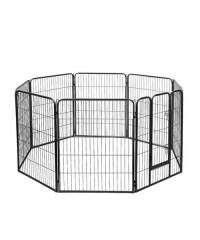 This pet ..
Give your pet a safe and secure play area with this 8 panel playpen. 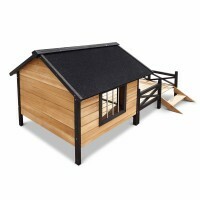 It features a foldable .. 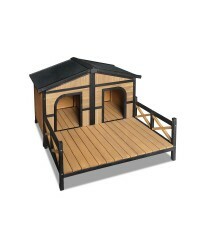 Your dog will be the envy of the neighbourhood in this distinguished Dog Kennel with Patio. 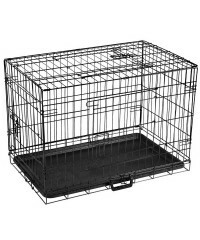 Fea..
A man's best friend should deserve a good place to stay, and our Pet Dog Double-door Kennel is t.. This dog bed is the ultimate luxury for your Pet! Featuring soft suede and a plush cotton fi.. 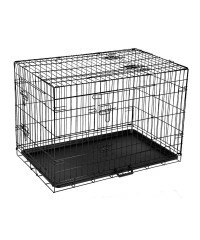 This durable plastic dog kennel is designed with a raised floor to help keep flea and tics away ..